If you want to improve your indoor climbing performance, you should try to master a perfect pull-up. This challenging exercise increases strength in your shoulders, arms and back, helping you become a stronger climber. It’s important to use proper form during a pull-up to avoid injuries. With your palms facing down, grab hold of the bar with both hands. If the bar is too high for you to reach, stand on a chair or box. If you do not have access to equipment, you can easily practice at home, using a door frame for instance (just wedge the door half open so you don’t risk smashing your fingers). Pull your entire body up by squeezing the bar with your hands. Keep pulling until your chin clears the bar. To get down safely, slowly straighten your arms as you lower yourself down. Make sure to keep a firm grip on the bar. Using too much momentum: Some people try to gain momentum during pull-ups by swinging their legs or raising their knees too high. However, excessive momentum can lead to injuries. Try to use as little momentum as possible while performing pull-ups. Internally rotating shoulders: If you internally rotate your shoulders during a pull-up, you can put a lot of stress on your rotator cuff and trap. Make sure to pull your shoulders down and back as you do each pull-up. Not using a full range of motion: Failing to use a full range of motion for every pull-up will impede your goal of gaining strength. Don’t cheat your results by doing half reps. Make sure to raise yourself up until your chin comes over the bar. Lock-off strength is as essential to a climber. You need to have enough power to pull yourself into a wall and grab onto the next hold to keep moving up. 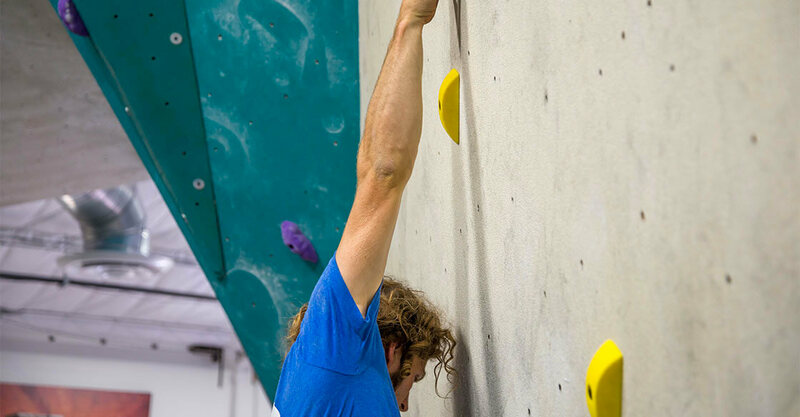 Practicing until you reach perfect pull-up form, focusing on quality rather than quantity will improve the climbing experience and performance.